In the context of Fusion being a tool for novices, it is an excellent tool to start designing in to learn the ins and outs of CAD and 3D modeling.Fusion is a hybrid parametric modeling program offered by Autodesk. Fusion is the more entry level offerings in the Autodesk lineup, being simpler to use compared to their other offerings like Maya and 3DSMax, albeit while fulfilling a different role. One of the main benefits of Fusion 360 is that it is free. After then end of the trial you can choose to continue using the software as a hobbyist for free, allowing you to use it so long as you do not monetize the models created in Fusion. Being free, there is plenty of documentation and tutorials available to get started on Fusion and begin using it for CAD design. One of the areas where Fusion shines is for 3d printing, creating suitable printable models with ease. Fusion integrates with many models of 3d printers so that they can be directly printed from the program. For unsupported printers, Fusion can also export 3d printable formats such as .STL files for the printer to use. This is usually preferable anyways, as it allows for more flexibility compared to printing right in Fusion. Fusion is a hybrid parametric modeling program offered by Autodesk. Fusion is the more entry level offerings in the Autodesk lineup, being simpler to use compared to their other offerings like Maya and 3DSMax, albeit while fulfilling a different role. One of the main benefits of Fusion 360 is that it is free. After then end of the trial you can choose to continue using the software as a hobbyist for free, allowing you to use it so long as you do not monetize the models created in Fusion. Being free, there is plenty of documentation and tutorials available to get started on Fusion and begin using it for CAD design. One of the areas where Fusion shines is for 3d printing, creating suitable printable models with ease. Fusion integrates with many models of 3d printers so that they can be directly printed from the program. For unsupported printers, Fusion can also export 3d printable formats such as .STL files for the printer to use. This is usually preferable anyways, as it allows for more flexibility compared to printing right in Fusion. Fusion is a hybrid modeler, combining the features of a direct modeler and parametric modeler to create a more streamlined and easy to use tool overall. This means that some of the more complex parametric modeling tools and functions are missing from Fusion, making it unsuitable for more serious CAD design. While the interface is clean, many functions are often hidden behind too many mouse clicks that can make the program hard to navigate at times. this can be particularly confusing for those unaccustomed to 3D modeling or CAD software. The cloud-based rendering is a great feature in Fusion 360 which puts way less strain on your cpu compared to a local render, allowing to continue working uninterrupted. There are a ton of render options for both your model and the background environment, and the final quality of the rendered images is fantastic. I like the cloud-based file sharing option which allows you to collaborate with others on the same project. It's also available for mac operating system as well as windows unlike some of its competitors. Regular updates and improvements that run relative unnoticed in the background, and they are constantly adding cool new features. It takes up very little room on your hard drive as the software is mostly cloud-based. Fusion 360 is still a relative newcomer in the 3D modeling software world, and although I think it is a great contender to it's competitors, it is still very glitchy and crashes often. The output file format options are very limited compared to the input file format options. I use this for prototyping AND teaching children how to design 3D prints! I've really been able to take my modeling and prototyping and even teaching STEM students to the next level. Fantastic ease of use, easy to teach and learn. Everything is in places that makes sense and you can create models based on measurements very easily. The software is designed to go right to 3D printers and even CNC machines. Lot's of options for modeling types/contexts such as parametric and even sculpting primitives. The cloud platform makes it very easy to access your work from other computers/devices.. One of the most useful features for me is the fact it handles threads so well, easy to 3D print and have parts properly screw together. I tested over 30 different modeling software packages before I settled on this. No regrets. Fantastic ease of use, easy to teach and learn. Everything is in places that makes sense and you can create models based on measurements very easily. The software is designed to go right to 3D printers and even CNC machines. Lot's of options for modeling types/contexts such as parametric and even sculpting primitives. The cloud platform makes it very easy to access your work from other computers/devices.. One of the most useful features for me is the fact it handles threads so well, easy to 3D print and have parts properly screw together. I tested over 30 different modeling software packages before I settled on this. No regrets. The only real gripe I have is with the overall model of subscription services, I'd rather pay and own this type of software but I understand I am getting real time patches and updates. Thanks to Fusion 360, I have found myself relying on it constantly for virtual design testings. Of course, true testing requires real-world application; however, Fusion 360 has been fairly accurate with its simulated statistics. Ever since high-school, my team and I discovered Fusion 360 and used it for our design testings to which we 3D-printed and used for our Toyota-sponsored hydrogen car. By far one of the most reliable and useful software for prospective designers and engineers. Or you know, if you have a passion for these kind of fields, I recommend giving Fusion 360 a shot.As an engineering major, Fusion 360 has become my go-to software when I feel the need to simulate any designs my team produces. It provides a multitude of options when creating designs, such as angular checks, grid-line-based auto adjustment, 360 degrees perspective, and so on. It also has a cloud feature that allows you to store your designs or even share it via email. I also find it particular helpful that you can do design tests such as putting it through a wind-funnel and seeing the air resistance as well as the designs performance in general. As an engineering major, Fusion 360 has become my go-to software when I feel the need to simulate any designs my team produces. It provides a multitude of options when creating designs, such as angular checks, grid-line-based auto adjustment, 360 degrees perspective, and so on. It also has a cloud feature that allows you to store your designs or even share it via email. I also find it particular helpful that you can do design tests such as putting it through a wind-funnel and seeing the air resistance as well as the designs performance in general. 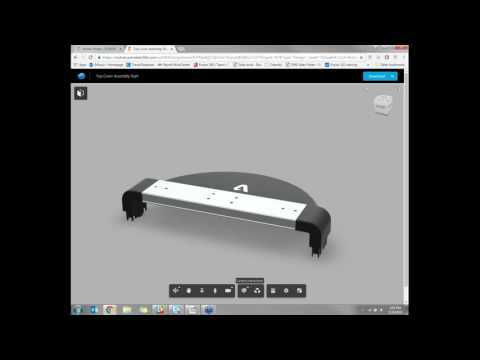 Although I use this software quite often, I have to say it did take me a little time to figure out what each option did and how to become more fluent with my use of Fusion 360. Thereby, Fusion 360 is not for those that aren't willing to put in the effort and passion in running designs. It takes quite a bit of patience to understand the functionalities overall. This is the only software I choose to use when starting a project. I have used other CAD packages in the past, but Fusion 360 has made everything easier. It's not just my top recommendation for CAD software, it's my only recommendation. It has everything you could want in a single CAD/CAM package. You can take an idea from concept, through development, and then to manufacturing without switching programs. The software is very intuitive if you have ever used any other piece of CAD software. It's also very easy to experiment with different tools you may not normally use. With Fusion 360 it allows you to jump into Rendering or even some FEA analysis without having to learn an entirely new piece of software. It has everything you could want in a single CAD/CAM package. You can take an idea from concept, through development, and then to manufacturing without switching programs. The software is very intuitive if you have ever used any other piece of CAD software. It's also very easy to experiment with different tools you may not normally use. With Fusion 360 it allows you to jump into Rendering or even some FEA analysis without having to learn an entirely new piece of software. I dont have many. When getting started you may have a little trouble learning how bodies and components affect one another, but once you learn that then everything else is very intuitive. Below are some frequently asked questions for Fusion 360. Q. What type of pricing plans does Fusion 360 offer? Q. Who are the typical users of Fusion 360? Q. What languages does Fusion 360 support? Q. Does Fusion 360 support mobile devices? Q. Does Fusion 360 offer an API? Yes, Fusion 360 has an API available for use. Q. What other apps does Fusion 360 integrate with? Q. What level of support does Fusion 360 offer? Q. Which apps is Fusion 360 compared to most often?